The leftist mainstream media are outraged that President Donald Trump appears to be sticking to his campaign promise to “cancel” U.S. participation in the Paris climate accord. The headline in The Washington Post is “Trump’s energy review blocks Group of Seven from consensus.” Politico’s headline is “Trump’s climate demands roil U.S. allies.” This follows Trump’s recent actions to rescind the foundation of Barack Obama’s climate change obsession. Once again President Trump is being called a radical, when he is, in fact, restoring common sense to government policy. As Forbes reports, Trump’s recent seven-page executive order “lays the groundwork for rescinding” Obama’s Clean Power Plan, which is currently “suspended by the Supreme Court while a Washington appeals court considers its fate.” While Obama was known for his executive overreach (he lost in the Supreme Court more than any other president, including a record number of unanimous defeats), Trump is scaling back government interference in the marketplace that had been justified in the name of battling climate change. “The left’s objective never changes, that is to ‘organize society’ in that creepy Orwellian rhetoric they’ve mastered,” he said. The threat of climate change, thus, is used to rationalize central planning. The media have been complicit with radical climatologists such as Mann, calling anyone who opposes the climate change agenda a “skeptic,” a “denier,”—or worse. And it has become popular to compare energy companies to big tobacco, or hype that each year was warmer than the last. This is shaky science, at best. Horner’s comments hold true today. As Marc Morano points out on his Climate Depot website, satellite data indicates that we are in a temperature pause. “The fact that there has been no warming for the last 18 years is a massive blow to the credibility of climate science,” he writes. Other scientists point out that there is little statistical difference between the allegedly warmest years and other years: Morano quotes Dr. David Whitehouse as calling 2016 temperatures “statistically indistinguishable from 2015.” Claims that we are experiencing the hottest years on record are blatantly bogus, and rely on statistically insignificant temperature changes. Even if the Trump administration kept Obama’s commitments to climate change policy, such measures would have been unlikely to affect global temperatures. Yet the media lauded Obama as keeping the world safe from climate change. “Addressing climate change has been a core goal for the president and netting the Paris climate deal is considered a critical part of his environmental policy legacy,” reported NBC News and Reuters in 2016, in a piece titled, “Obama: Paris Climate Accord Best Possible Shot to ‘Save’ Planet.” This is nonsense. It was just another phony Obama legacy item to check off his list that in reality is far more about the U.S. and other developed nations transferring $100 billion per year to developing countries that make no binding commitments. In addition, it would transfer significant regulatory powers to the UN and other international bodies, none of which would amount to anything measurable or provable in terms of tweaking the global temperature to reach some desired environmental utopian goal. Obama designed his climate agenda in a way that touched each facet of the bureaucracy. “There is no single list of those programs or their cost, because President Barack Obama sought to integrate climate programs into everything the federal government did,” writes Christopher Flavelle for Bloomberg. “The goal was to get all agencies to take climate into account, and also make those programs hard to disentangle, according to former members of the administration.” Obama, Flavelle writes, tried to make “climate programs hard for Republicans in Congress to even find.” To that end, an estimated $77 billion was spent from 2008 through 2013, spread over 18 federal agencies. With this recent executive order, Trump is dismantling another of Obama’s key legacy items, a policy that the media desire to protect from the new Republican president. As with Obamacare and the unsigned Iran deal, the test will be to see whether Trump continues Obama’s disastrous policies or undercuts them. But you can expect that the media will fight every effort to roll back Obama’s legacy. Leftists’ hysteria and vitriol in response to Trump winning the presidency is escalating. Enraged, they vow to stop Trump at all cost. It occurred to me that what has really driven the Left insane, enraged and quaking in fear is Americans free to live their lives. Over the past 8 years, Obama transformed government agencies such as the EPA into his personal hit squads. Using these agencies, Obama incrementally repealed our Constitutional and God-given freedoms, while criminalizing and silencing dissenting voices. Leftists arrogantly assumed Hillary would win to take Obama’s slavery of Americans to unprecedented irreversible levels. Trump is America’s Abe Lincoln, our emancipator. His election equaled him unlocking and pushing open the 2 feet thick, 100ft high iron gates of the Left’s government plantation. Overwhelmed with the anticipation of freedom, millions of traumatized Americans ran for their lives, flooding out of the compound, joyously running free in all directions. As they ran, visions of starting businesses free from Obama’s 4000 new EPA regulations http://bit.ly/2gtNfvi and restored freedoms like raising their kids according to their conscience http://bit.ly/2ipdgP7 danced in their heads. I want low-info voters like my professional electrician nephew Mike to understand that Leftists are a different species, Arrogantous-Superiorist. Though sighted throughout America, Leftists’ natural habitat is Hollywood, New York, LA and Washington DC. Leftists believe their superior compassion authorizes them to use their superior intellect to dictate how we inferior commoners must live our lives. So now the battle is on folks. Freaked out Leftists are pulling out all the stops to stop Trump. Trump seeks to further our liberation. Ending Leftist government bullying will spark a new era of American prosperity; investors risking capitol, creativity, jobs and growth beneficial to all Americans. There is no greater Leftist government plantation overlord than the EPA. Therefore, Leftists’ attempts to demonize Scott Pruitt, Trump’s pick to head the EPA, will be insanely vicious, filled with lies. Leftists hope to brand Pruitt evil incarnate. They will claim Pruitt wants dirty air and water for personal gain. Leftists will throw old standbys into the mix, racism, sexism and homophobia. They will claim Pruitt’s destruction of the environment will harm minorities, women and homosexuals most. Leftists foolishly continue to use their old school tricks to stop our new president. Here are a few of many of our Leftist slave master’s unbelievable power grabs via the EPA. Scott Pruitt will liberate Americans from the shackles of the Climate Change religious zealots running the EPA. 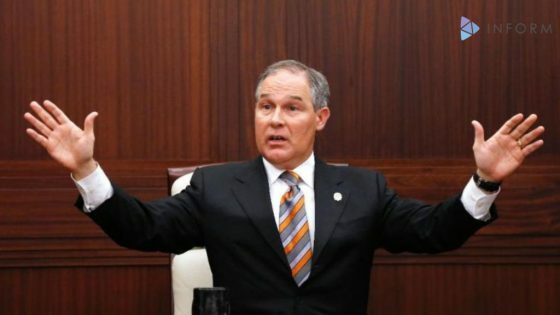 Leftists have begun launching lie-infested fake news stories trying to destroy Pruitt. They will fail folks. Trump’s election marks a new day in America. Those familiar with our work at Accuracy in Media know that we have long been skeptics of the prevailing view that man is largely responsible for causing the earth’s temperature to rise, and that we can work with other nations, including China and India, and the United Nations, to slow down the supposed warming of the planet. 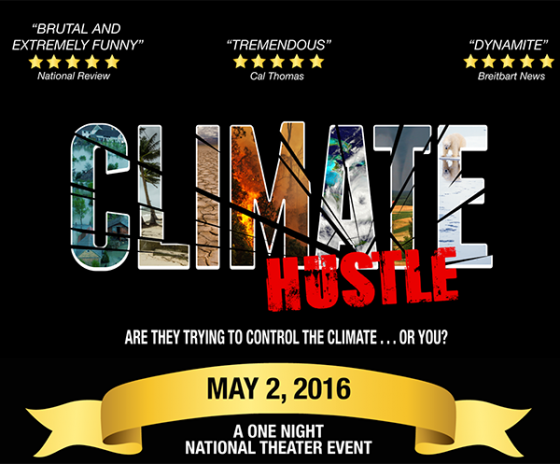 On April 14th I attended the premiere of the new movie, “Climate Hustle,” on Capitol Hill. It is playing on Monday, May 2, at many theaters across the country. We have posted Paul Driessen’s outstanding review of the film as a guest column on our site. The film uses humor, mockery, and most impressively, interviews with numerous climate scientists who used to believe in anthropogenic (i.e., caused by humans) global warming, but have now become openly skeptical. While the left and the media try to convince us that the only scientists who dissent on this issue are those receiving money from the energy industry, the fact is that it is much more lucrative to take government grants to create computer models that make the case for the global warming alarmists. I urge you to click on this link to find out where you can see the movie in your area. I am friends with the host and narrator of this great new documentary, Marc Morano, and have worked with him on other shows in the past. He runs the website, Climate Depot, which is an excellent, ongoing source of information on this incredibly important subject. Climate Change Hysteria Strikes Again! 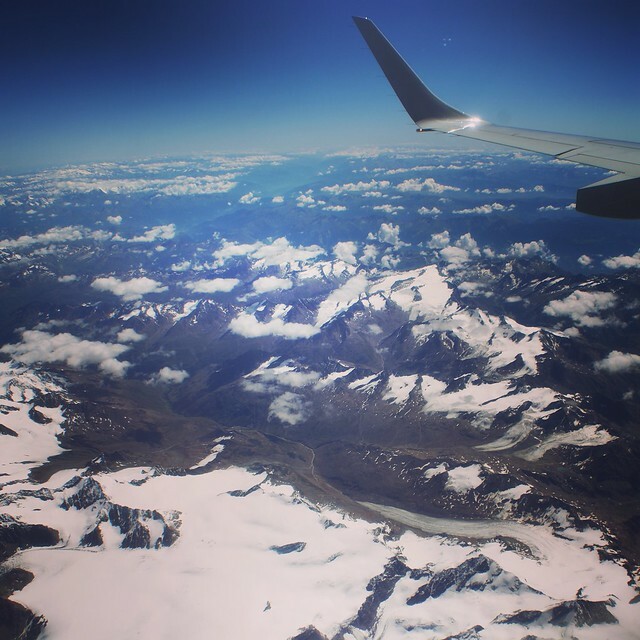 Above: Glaciers in the Alps taken from high above in a jet airliner. Yesterday, I read an article (1) in The Guardian about the dire threat to civilisation as we know it posed by Global Warming. Don’t get me wrong I know for a fact that Climate Change is real. I also know that it is highly likely that humankind is having an impact on our global climate. What I don’t get is how people can know for absolute certainty whether this is a good or a bad thing. I also dislike the tone of the current debate and how dogmatic it has become. Things have got so bad that some on one side want to deny their opponents freedom of speech. Not only is this a danger to human rights, it is a danger to science. The Guardian article (1) continues “February 2016 was likely the hottest month in thousands of years, as we approach the 2°C danger limit.” Notice the word “likely” which of course makes what is being said completely meaningless. I suppose it could be read as grudging acknowledgement that the facts don’t come out on any side of the argument. As in previous United Nations climate agreement talks, this week’s conference in Paris is encountering conflict between wealthy and poorer nations. It threatens to sweep their sweeping agreement into the ancient Paris sewer system. They have extended its deadline to this Saturday. We can pray a solution isn’t found in these next few hours that will lock the entire world into one giant leap toward the ultimate imperialism of one-world government. I don’t mean that as a figure of speech. We can pray. The O’Reilly Factor‘s Bill O’Reilly pressed renowned columnist and commentator Charles Krauthammer for an answer. O’Reilly wanted to know why President Barack Obama is so relentless in his drive to convince the world that global warming is a bigger threat than ISIS. Krauthammer gave a frank psychoanalysis of Obama, but it failed to hold water on this topic. What these two astute gentlemen of the media failed to apply was the old journalistic axiom: “Follow the money.” First, start with the question that begs an explanation. Why did former Vice-President Al Gore repeatedly declare that he was going to become “the first global warming billionaire” — did that not pique any potential Pulitzer Prize winning journalist’s curiosity as to what was behind that curtain? After losing his bid for the presidency, becoming the first global warming billionaire was Gore’s road not only to extraordinary wealth, but paved his return to global influence. “I will direct my Cabinet to come up with executive actions we can take, now and in the future, to reduce pollution, prepare our communities for the consequences of climate change and speed the transition to more sustainable sources of energy.” — President Barack Obama, February 12, 2013. Obama’s green energy plan put the coal industry on life-support, targeted oil and gas as the enemy and sought to impose restrictions on power plants that generate electricity to homes and businesses. What the President reportedly hides behind the curtain is his alliances with international green elites, a select group of political and Wall Street cronies, and energy regulatory czars who have orchestrated a CO2 carbon-taxing scheme that would put billions of dollars into their own pockets. Forced regulatory compliance is now being assembled through federal agencies such as the Environmental Protection Agency (EPA). It is a money scheme at the highest levels. In 2010, the global-warming money transfer scam surfaced and named not only this president, but a former Democrat president and vice-president as participants planning to accumulate vast personal wealth. Again, any investigative reporter need only ask: Why did Al Gore so confidently tout that he was destined to become the “first global-warming billionaire”? 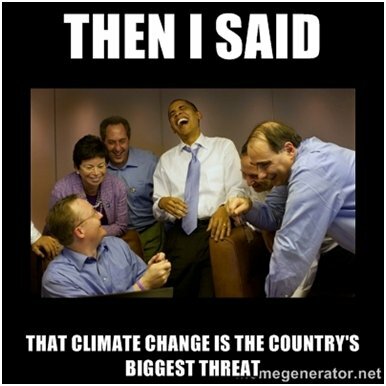 The June 16, 2009 Bloomberg article, “Sandor Got Obama’s Nod for Chicago-Style Climate Law” by Jim Efstathiou Jr., reported that a carbon-capping bill set to be imposed on American businesses was the cornerstone of Obama’s environmental agenda. Bloomberg quotes CCX founder Richard Sandor as saying that the bill began “…way, way to the left with provisions to push U.S. utilities into bankruptcy.” The article further reads: “Sandor launched the Chicago Climate Exchange, or CCX, in 2003 after getting two research grants from the Chicago-based Joyce Foundation. Obama was on the foundation that gave us the grant, Sandor said. We know him well.” CCX reportedly is now under the auspices of Environmental Financial Products which lists its Chairman and CEO as Richard Sandor. 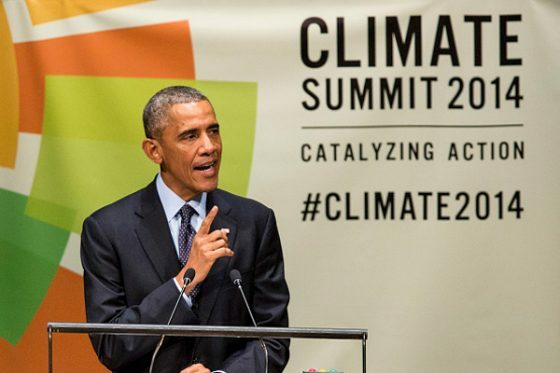 During the recent 2015 United Nations Climate Change Conference in Paris, Mr. Obama again upped his high-stakes play to push through his green agenda despite the high cost to even the poorest of Americans. Unlike Obamacare that revealed itself in a matter of years, this scheme can be carried along for decades based on false data and computers models only to be uncovered decades later and trillions of dollars too late. A list of powerful global titans remain on the ready to engage in a revived carbon-emissions trading program. They do so despite the evidence that weighs against any such necessity. The question is why? In the face of highly publicized studies based on real science, and not computer models, that global temperatures have not substantially risen for more than a decade, Obama gears up to invest multiples of billions of America’s tax dollars into the green abyss, even while other countries across the globe are backing away. Why does Obama ignore real science? Again, with the scheme hidden in plain sight, the media neglect the global green machine being run by an elite group that will reap financial gain at America’s loss. Perhaps a great investigative journalist will make a mark on history by peeling back the layers of this geo-political fraud. Armed with this information, perhaps Mr. O’Reilly or Dr. Krauthammer will use their access to vast journalistic resources to earnestly answer Bill’s question to Charles on why Barack Obama is pushing, at the expense of America and beyond all logic and recent scientific data, for a long-term and massive financial commitment to climate change. Start with money and power. 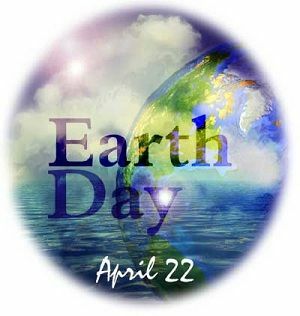 Whoever controls the world’s energy distribution, controls the world. If they can get the little people to “believe” that climate change is a bigger threat than ISIS, the global elites of the future will have the ultimate golden parachute. CCX now transfers to: Page Not Found. The Chicago Climate Exchange reportedly changed names. While ultimately drowning the carbon-trading scheme and not shorelines, nature turned on the CCX planners when the Himalayas did not melt, the polar bear population grew, and carbon dioxide output revived and increased farming yields that today feed millions more people across the globe as a result. Yet, the other shoe is about to drop and it is nuclear in its impact. It is Obama’s coup de gras for America. Buried in the Trans Pacific Partnership (TPP) is Obama’s climate agenda on steroids. It shifts independent powers to the president while putting America at the mercy of 140 member TPP countries that outnumber and hold sway over the United States’ “one” vote. Disguised as open trade to keep America competitive, it sets-up the means for America’s detractors to put a crippling chokehold on America’s sovereignty and economy. It is dangerous. 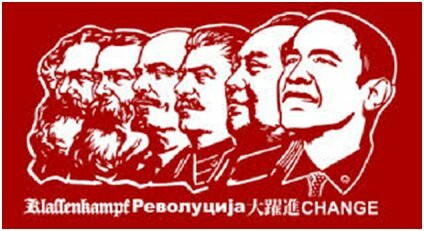 TPP is designed to become an international regulatory body from China to Vietnam armed with enough voting numbers to subdue the United States into submission while enforcing massive fines if American businesses do not transfer jobs and resources offshore. Expect political sleight-of-hand from both sides of the aisle when a Congressional vote on the Trans Pacific Partnership comes up next year. American must hold their leaders accountable. Send a copy of this article as a warning that will strip them of the excuse of any ignorance of “unforeseen circumstances” upon which they too often rely. Under Obama’s climate change, money and power supersede national security. Perhaps, Messrs. O’Reilly and Krauthammer will look behind that door as well. How Best to Keep the Progressive Agenda Going? The progressive mantra of long-term man-made Global Cooling proved to be wrong and now man-made long-term Global Warming is falling on hard times having been supported by manipulated data. 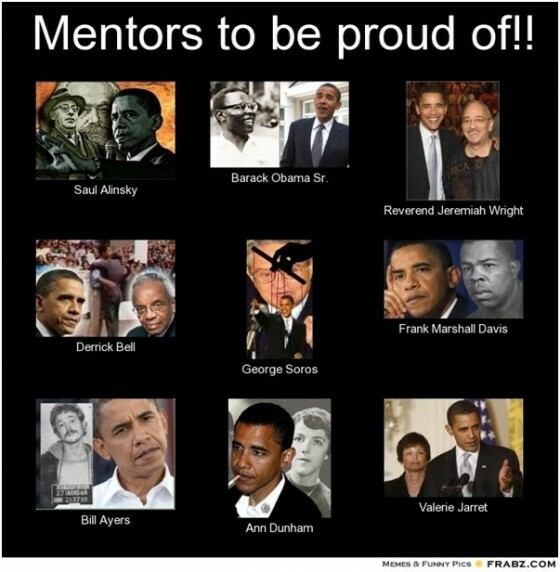 How best to keep the progressive agenda going per Obama’s Marxist Mentors? Yes, our President has revealed his Marxist leanings if not his fundamental core beliefs this week in Paris. His mentors, Bill Ayers and Saul Alinsky among many of the same stripe, should be extremely proud of the slight-of-hand their protégée has once again shown before the world. In a new development, we have just learned from Judicial Watch that Hillary Clinton was characterized by her Muslim-connected aide, Huma Abedin, as being “very confused” about the world leaders she was supposed to be communicating with as secretary of state. The confusion may also be reflected in Mrs. Clinton’s bizarre utterance that so-called climate change is an “existential threat” that is somehow comparable to Russian nuclear weapons, which could reduce America to a burned-out cinder. Mrs. Clinton is not alone, however. All of the Democrats running for president, plus former Democratic presidential candidate Al Gore, want to treat changes in the weather as something to be addressed through new treaties, international agreements and global tax schemes. This campaign has taken precedence over defeating international terrorism. So from one disputed claim about people causing climate change, they have reached another disputed claim that climate change is causing people to commit terrorism. On the same day as the Paris attacks, former Democratic presidential candidate Al Gore was staging his 24-hour climate change telethon from the foot of the Eiffel Tower to focus attention on this month’s United Nations climate summit in Paris. The attacks forced him to pull the plug on the event after five hours. In advance of his ill-fated climate change telethon, People magazine asked Gore which Democrat he was endorsing for president. “It’s still too early, in my opinion, to endorse a candidate or pick a candidate,” he said. But why is his endorsement worth anything? Al Gore has become a very rich man, a one percenter. He and his partners sold Current TV (Gore personally netted an estimated $100 million of the $500 million sale price) to the terrorist-supporting Middle Eastern oil and gas dictatorship of Qatar. A member of Apple, Inc.’s board of directors, Gore is today worth as much as $170 million. Even the New York Times has wondered if his climate change campaign is designed to make himself rich, while preserving his lifestyle as an elite member of the one percent. His telethon carried the official title of “Live Earth: 24 Hours of Reality.” The reality of terrorism got in the way of the broadcast, featuring various rock stars and co-sponsored by Arianna Huffington’s television channel, HuffPost Live. But none of the “reasons” for the rise of the Islamic State, in his analysis, consists of the hate-filled passages from the Koran which guide their beliefs and actions. We are supposed to believe this may be why terrorists opened fire on people in Paris. This is why the Islamic State beheads people or burns them alive? It is easy to forget that the website publishing this material is financed by a Middle Eastern dictatorship that promotes Islamic terrorism. Like the notion of the “existential threat” allegedly posed by climate change, Al Jazeera America constitutes a diversion from what really threatens America, our way of life, and our people. Perhaps that was the intention all along. As serious as this is, the problem of foreign propaganda in the U.S. media market could get far worse. Television producer Jerry Kenney notes that the Federal Communications Commission (FCC) is planning to remove the barriers to broadcast station ownership by foreigners, a move that would enable American broadcasters to sell out to foreign interests, just like Gore did. The FCC could allow the sale of local broadcast stations and other media properties to the Chinese, Russian and Mexican governments, or to the Muslim Brotherhood. The public must respond to what the FCC is planning to do by December 21.